If you have been satisfied with the results of your email campaign throughout the year, there no reason for you to make big changes only because it’s Christmas time. You should definitely enhance some things, but not by throwing your previous work out the window. Let’s start with the main issue. With the coming of the holidays a lot of marketers think that they need something special to reach out to their audience. 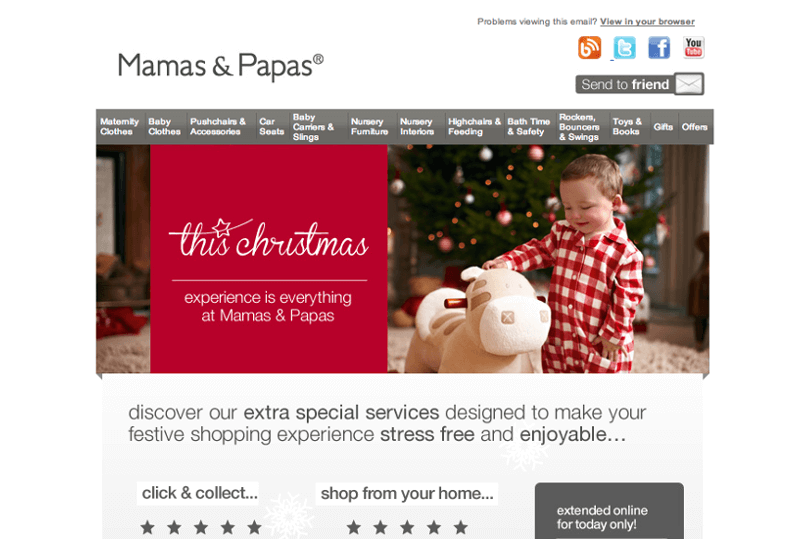 Snowflakes, Santa and Christmas trees invade email templates. You don’t need something special – you probably have it already. That is your unique selling proposition (USP), remember? During the holidays everyone offers discounts, coupons and similar stuff, so you should probably avoid those too. If you do what everyone else is doing than you won’t stand out from the crowd, that’s for sure. People are not looking for cheap stuff! But ideas. Unique, special gift ideas, because they don’t want to buy socks, board games and stuff like that again. Brainstorm a bit in-house since it’s highly likely that you have everything, so you only have to remind people of that. Maybe they didn’t want your product in August, but what a great creative gift would it be now! In the holiday season everyone’s inboxes are filled with promotional emails, so you don’t really have to fear that your subscribers will notice specifically your increased tempo as long as you are not sending way too many emails. Sit down and write down all the Christmas clichés you can possibly think of before even thinking about opening your responsive email editor. That is stuff you won’t use. You want to remain special, and snowmen or reindeers won’t do you any good. Take your own brand and transform it so it is not too obvious, but if feels like Christmas. If Coca-Cola, a company selling beverages could do it so epically back in the day, so can you. This is the part that requires real creativity, but if you invest the time you will be rewarded by a strengthening brand. 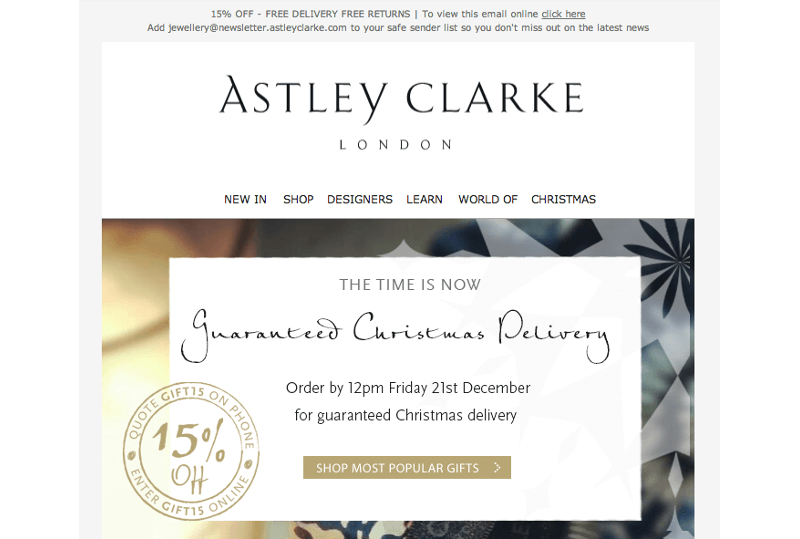 What you should probably do is create a new template in your responsive email editor reflecting the Christmas-styled brand, and create landing pages with that in mind too. You could have started earlier but don’t worry, you are not too late, but don’t procrastinate longer! You don’t have to plan completely new email designs from scratch, so with the proper email editor you can easily replace the images, colors or anything else. Even if you need to work with designers and email coders, you can easily get a new template in some days. In the last weeks before Christmas people become more and more desperate for that one gift. Jingle All the Way desperate, with less flying above parades and more close combat in stores. This is the perfect opportunity for you to knock on their virtual door and kindly remind them that you have just the thing they are looking for.